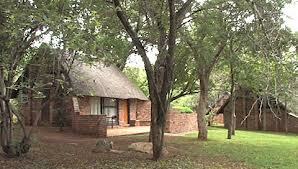 Berg-en-Dal (hill and dale) is one of the best rest camps in the Kruger Park for trees. The camp was designed and laid out in such a way that as many big trees as possible were left standing between the bungalows in the rest camp. Don’t miss the knob-thorn acacia in Berg-en-Dal, the biggest of which stands in the small parking place area at the swimming pool. There are also two big knob-thorns in the parking area at the reception office. The filling station hosts another large one. There are many knob-thorns is the surrounding veld as well. 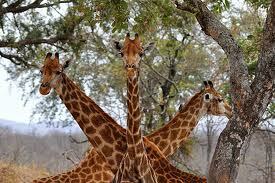 They grow up to 30m tall, displaying a single straight trunk. 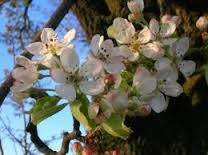 The most characteristic feature of the tree is its armour – woody knobs with thorns on the trunks of young trees, and on the branches of older trees. The small leaves which are shaped like the round wings of a butterfly make identification easy. Knob-thorns flower between August and November with creamy white spikes that start out as pinkish-brown buds. Elephant, giraffe, kudu, impala, grey duiker and steenbok graze on the leaves, shoots and pods. Giraffes, monkeys and baboons also eat the flowers. Brown-headed parrots eat the unripe seeds from the pod. Acacia is from the Greek word akis that means point and refers to the thorns, while nigrescens is Latin for “turning black”; it refers to the colour of the pods. The Kruger has an oral tradition as old as the Park itself. It probably dates back to 1926 when the first three cars with visitors entered the Park and people asked each other “what have you seen”? This information is spread in informal conversations in shops, reception ares, comunal kitchens, neighbouring camp fires and passing cars. This tradition has not changed in more than 80 years. The question “what have you seen”? will be asked in many places during the course of every day as long as people visit Kruger. Gleaned from the writings of Marissa Greeff’s book “A Site-by-Site Guide to Trees in the KRUGER NATIONAL PARK. We sell this beautiful book for R260.00 excluding postage. 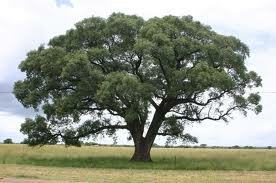 The Knob-thorn Acacia tree is available for sale at Kruger Indigenous Tree Nursery near Skukuza. It’s nice to find somebody with original opinions on this topic.